Alice’s Adventures in Wonderland, by Lewis Carroll, is a classic novel from the 1800’s that everyone alive today is familiar with. Whether you are familiar with the original novel, one of the original feature films or the currently popular Tim Burton films, I can guarantee if you ask anyone on the street if they know who Alice Liddell from Alice in Wonderland is, everyone will say yes. Alice’s adventures are extremely trippy. She falls down a rabbit hole into a magical new world where animals exhibit anthropomorphism, she grows tall and small many times and meets an invisible cat. 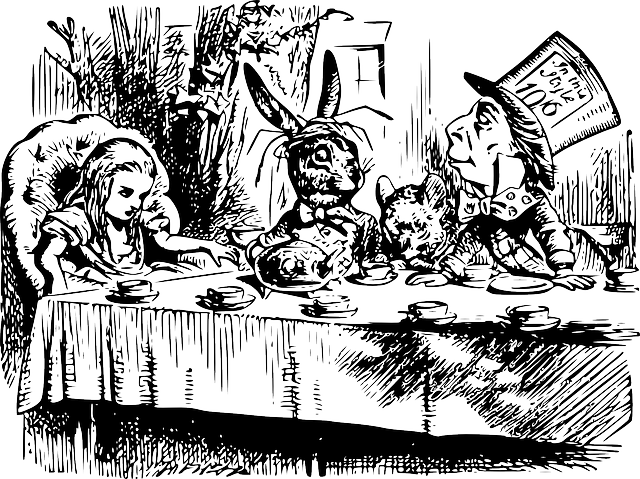 Although Alice in Wonderland is meant to be a children’s novel, it is fun to explore the science behind the events and people that Alice is faced with during her adventures. An object in free-fall would be accelerating at a rate of 9.8 metres per second, per second due to the force of gravity. If Alice was to pass the centre of the Earth and come out the other side, once the centre is reached, Alice would start decelerating at the same rate. To fall straight through the centre of the Earth and out the other side, it would take roughly two and a half days, or only 38 minutes in a vacuum. 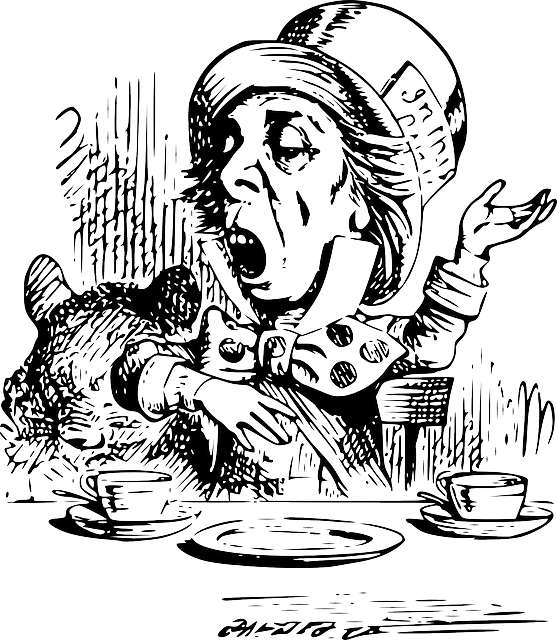 During Alice’s Adventures, we are introduced to a bit of a crazy character, the Mad Hatter, who like to have tea parties and recite riddles that make no sense such as “Why is a raven like a writing desk?”. The Mad Hatter was, in fact, a hatter. A hatter is a maker and seller of hats. As early as the 17th century, the use of inorganic mercury in the form of mercury nitrate was used to treat fur for the manufacture of felt hats. The use of mercury is an occupational hazard. Mad Hatters Disease, or Mad Hatter Syndrome, is the result of chronic mercury poisoning due to prolonged exposure to the mercury vapours. The neurotoxic effects of mercury include tremor and pathological shyness, irritability and erethism. Erethism involves many behavioural changes such as depression, apathy, timidity, delirium and memory loss, as well as some physical symptoms including headaches and an irregular heartbeat. 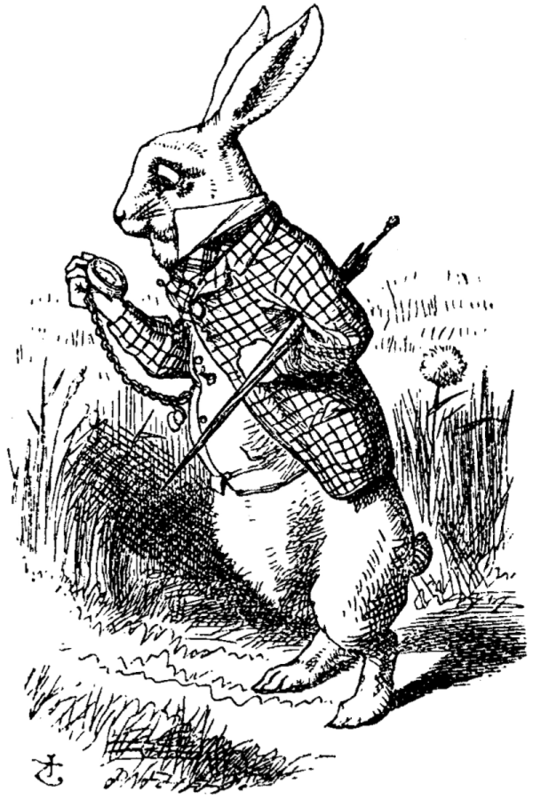 The grinning Cheshire Cat has a habit of disappearing on Alice, leaving only a smile. Although this is not a scientifically possible occurrence, the cat has been used as a metaphor in various scientific contexts. Mathematician Martin Garden claims that a grin without a cat is an appropriate description of mathematics at its simplest. How does this make any sense at all? Equations are abstractions, existing alone in their own world, although they can be used to describe the structure of our physical world. The equation is the grin. It makes no sense by itself, but if you apply it to the physical world, you get a cat. 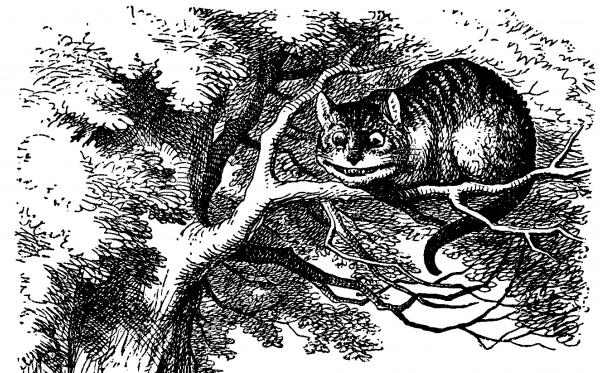 In another example, the phrase “Quantum Cheshire Cat” is used in physics to describe subatomic particles with its properties separated. This is a much more literal application of the notion of a disappearing, or dissociated, cat. 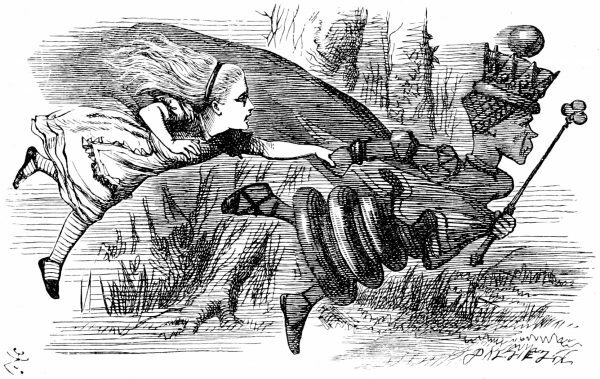 Amongst the two Alice in Wonderland novels there are three queens: The Queen of Hearts in Alice’s Adventures in Wonderland and The White and Red Queen chess pieces in Through The Looking Glass. In evolutionary biology, the Red Queen Hypothesis states that sexually reproducing organisms must evolve, adapt and proliferate to survive as individuals, as well as a species as a whole, in an ever changing and adapting world amongst equally challenging organisms. The hypothesis aims to explain two phenomena: constant extinction rates observed in the fossil records caused by co-evolution, and the advantages of sexual reproduction at the level of the individual. During the Red Queen’s race in Through The Looking Glass, the Red Queen says to Alice: “Now, here, you see, it takes all the running you can do, to keep in the same place. If you want to get somewhere else, you must run at least twice as fast as that!”. This quote can easily be interpreted as a reference to the Red Queen Hypothesis. The Science behind some of the craziest concepts in Alice in Wonderland is very interesting. I hope you enjoy the truth behind the favourite childhood novel as much as I did.